The templates below can be downloaded from our site, saved, edited as necessary, and then printed. Or they can be downloaded, printed, and used as is. Click here to get directions for downloading and editing templates. Want to learn basic Mandarin? Look no further! Chinese Buddy uses songs to allow adults and student learners of Mandarin everywhere an effective means to remember the language! It's fun and easy! Go to YouTube and you'll find more songs/videos to learn Mandarin. The following are a few samples. Highly recommend 'the King of Masks’《变脸王》，popular among all my students from aged 11 to 18. A wonderful film for learning Chinese culture and language. 《山楂树之恋》 is also a good film to give students some idea about people's life during the period of Cultural Revolution. Students can learn the song, very touching! 《落叶归根》Man agrees to take his friend's body home for burial...sad, well the story has many funny and touching moments. 《饮食男女》FOOD, glorious food runs through this movie. Although it is still snowing in early March in Vancouver, I can certainly feel the pulse of spring around, on the tips of budding blossoms, in the whiff of the gentle breeze, and beneath the melting snow, “arranging and changing placing / carefully there a strange / thing and a known thing here” (e.e. cummings). When nature is awakening after a long, dormant winter, my students are also warming up to the call of spring, particularly those who are looking forward to the annual B.C. “Chinese Bridge” Mandarin Speech Contest in May. A great many elementary and secondary students including mine have participated in this event, organized annually by the Education Office, Consulate General of the People’s Republic of China in Vancouver, Confucius Institute in Coquitlam and the Canadian Teaching-Chinese-as-a-Second-Language Association, and without any doubt, they have benefited by the contest’s motto: to “promote multiculturalism and Chinese language and culture learning.” According to Winsey Choi, program coordinator from Confucius Institute in Coquitlam, the number of speech contestants has been growing steadily from 50 in the first year 2002 to around 120 last year. Particularly noticeable is the increase of non-heritage speakers competing at the contest, as well as the support and involvement of teachers and parents who regard the contest as a chance for learning the language and developing their talents. Some of the top-prize winners have represented Vancouver to compete in the next round of contest in China. 3) Heritage Speakers Born Overseas (Grade K-3, and 4) Heritage Speakers Born Overseas (Grade 4-7). The secondary school group takes in 1) Non-heritage Speakers (Grade 8-10), 2) Non-heritage Speakers (Grade 11-12), 3) Heritage Speakers Born Overseas (Grade 8-10), and 4) Heritage Speakers Born Overseas (Grade 11-12). 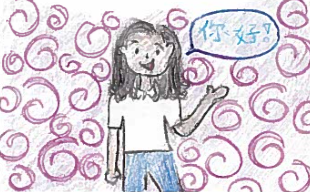 This way, students from different cultural backgrounds would all have an opportunity to showcase their Chinese language proficiency and share their learning experiences by delivering a 3-minute speech focused on a designated topic in Mandarin. On a personal level as a Mandarin teacher, I embrace this annual event as a bridge to connect and extend the learning experience beyond the classroom, since the speech contest provides a ready platform for students to share their work and exchange ideas with diverse audiences, including family members and peers, local community members, and even the wider world. Every year, there are quite a few courageous and enthusiastic students of mine who want to take the challenge and “try out their Mandarin”. My guidance includes brainstorming with them on how they can produce a speech based on the content they have learned, the tasks they have already performed in class, the cultural encounters they have experienced and the anecdotes they feel most comfortable and confident to share. I remember one year a student of mine of Arabic backgrounds came to me for help as she simply couldn’t decide where to start her speech about “My Mandarin Story”, let alone what to include to finish the speech. I went over with her on what she had accomplished so far in her Mandarin class: her involvement in our school’s annual Chinese New Year celebration as activity presenter for Chinese painting and paper-cutting, her most memorable trip to China with me, her short composition on why she liked the colour red, her acting as her family’s communicator with their Mandarin-speaking gardener, her ‘interpreter’ experience when she noticed a Chinese granny who didn’t know a word of English at the airport, class discussion on Chinese food, the vocabulary, expressions and structures that would help her write a speech based on her accomplishments and experiences related to Mandarin study, the tasks she had done and collected as evidence of learning, etc. The preparation talk made her realize that the speech contest was not only about writing a speech and reciting it in front of the judgers but also about reflecting on her own journey to Mandarin proficiency. She eventually delivered a heart-felt speech at that year’s contest and won the first prize in her category. This experience inspired her to pursue further studies in Mandarin. Now, she is a university student, taking more advanced Mandarin courses and making many Mandarin-speaking friends, according to her younger sister, who, inspired by her, is also taking Mandarin in school. This year’s topic is “Me and China”. The speech contest will be held on May 4th, 2014, at Confucius Institute in Coquitlam, 1100 Winslow Ave., Coquitlam. Let’s spring into action with our students to prepare for the upcoming contest. I hope that there will be more students ready to take the challenge and participate in the speech contest as another chance to embrace Chinese language and culture and to make new friends. “Chinese Bridge” is a gateway to success in the 21st century. P.S. Speech contest registration form can be downloaded at: www.internationaled.com/confucius. Any inquiry can go to Confucius@sd43.bc.ca or 604-716-5118. It has been quite a number of years since I first took a cautious, small step in hosting a Chinese New Year celebration event for my Multicultural Club members and my Mandarin students. From the overwhelmingly enthusiastic response of the students, I moved on, realizing that it makes every sense to organize a school-wide Chinese New Year celebration so that the school community with the diverse backgrounds of the student body and staff can get to enjoy some Chinese festival traditions and customs in a multicultural city like Vancouver. I would also like to provide my Mandarin students with an opportunity to share the language skills and cultural knowledge they have acquired in the classroom with the larger school community. Ever since the moment I envisioned the possibility and realized the benefits of bridging the connection between classroom learning and community building, I have been sponsoring and improving the event year by year. During the week of Chinese New Year on a Friday lunch hour, typical activities include: Chinese food, particularly New Year food, Chinese tea tasting, fortune telling, calligraphy, Chinese painting, paper cutting, chopsticks challenge, spoken Mandarin, Chinese trivia, riddle guessing and traditional Chinese sports and games. The most amazing and rewarding part of the Chinese New Year celebration is that the whole school all of a sudden turns into a festive place with New Year decorations everywhere: students, administrators, and staff lining up to sample food while enjoying Chinese music and admiring Chinese musical instruments, cheering for students’ musical performances and traditional sports demonstrations, and participating in various Chinese cultural activities. Parents bring in freshly cooked food, while my Mandarin students share their Chinese expertise at various activity stations with interested students and staff. The Chinese New Year celebration has gradually evolved into our school’s much-awaited annual event, a tradition for the community to share and enjoy. For my students, this event has taught them the importance of interculturality (the ability to actively participate in communication guided by an awareness and understanding of cultures) both inside and outside the classroom. Thus, they feel honoured to uphold the tradition of sharing their learning accomplishments with the community in this special way. Each year, they want to do a better job than the year before. The celebration has also drawn enthusiastic support from the school community: the Multicultural Club has joined in the preparation (making posters, crafts, etc.) for the event; the Foods classes have committed to making Chinese food for this occasion. This year I had more volunteers outside my Mandarin classes or Multicultural Club helping to make crafts and decorate the whole school. Even though introductory Mandarin starts in grade 9, there were grade 8 students performing a Chinese fan dance at our promotion assembly. Our Early Childhood Education Centre has built the Chinese New Year celebration into its curriculum, and my senior Mandarin students go there to join the little ones in various New Year activities. This year’s celebration extended to a one-week event during which every lunch hour featured a special event (Chinese ribbon dancing, Chinese musical instrument Guzheng performance, Chinese martial arts demonstration and Chinese New Year crafts making) leading towards Friday’s highlights of the celebration. Looking back at how this celebration event has developed from a classroom cultural activity into part of our school’s cultural tradition, I believe it has provided the following opportunities for the school community to interact and learn from each other. 1. Global awareness: Learning about how the Chinese celebrate the New Year helps my students understand the practices, products and perspectives of the Chinese culture and this, in turn, will influence other students in the community when they enjoy the celebration with my students. Every year before the Chinese New Year, I will design for my Mandarin classes a language and culture project on certain aspects of the New Year. For example, this year’s Grade 9 class learned a New Year song in Mandarin and shot a new year greetings video featuring songs, red lanterns and a lion dance and expressing good wishes to the whole school community. The video was shown at our assembly as a forerunner of the upcoming event. The Grade 10 class created a mural covered with red paper in the hallway for public viewing, showcasing their newly learned facts about the Chinese New Year: the legend of the monster ‘nian’, the dos and don’ts, symbolism of New Year food and snacks, decorations of flowers and house plants with special meanings, the Chinese zodiac story, spring couplets and new year pictures, typical new year activities, etc. Other classes also did their ‘homework’ in order to share their experiences with the larger school community. 2. Social and cross-cultural skills: This celebration event promotes cross-cultural competencies (as opposed to awareness), the main goal identified for the 21st century modern languages instruction, since my students get a chance to function both linguistically and socially in Chinese milieu, not only in the classroom but also in the school community. All my students who are responsible for an activity station or serve food/tea have to make an introductory poster with pictures so that when other students come to sample food or tea or learn to participate in an activity, they will be able to explain the activity and its cultural association, and demonstrate how to do it. These are fun cultural activities for all to enjoy and celebrate, and to bring everybody together no matter what cultural backgrounds he/she is from. 3. Leadership and responsibility: Preparing students to adopt roles of leadership and increasing responsibility in a school community will hone their collaboration skills as defined by cross-linguistic and cross-cultural competency. My favourite part while organizing this New Year event is to mobilize all my Mandarin students and go through different planning stages with them together, delegate various tasks to individual students, see their enthusiasm, dedication and joy in their preparations and completion of their tasks, and feel the pride the students demonstrate when they are using Mandarin and their knowledge of Chinese culture in the process of sharing the joy of celebration with the school community. Of course, I am also very impressed to see how other classes such as Foods classes and the Early Childhood Education Centre as well as the Multicultural Club all contribute to and/or participate in this school event. 4. Communication and collaboration: This school-wide celebration echoes the spirit of collaborative and interactive teaching and learning and of building a school’s identity as a place where students get to learn things through community interaction. Supported by administrators, staff, and parents, students engage their learning to embrace and appreciate the richness of Chinese New Year practices and customs within a dynamic learning environment, which is open-minded, multicultural and inclusive. Extending the learning experience beyond the classroom has become an integral part of the 21st century learning. The annual Chinese New Year celebration event serves this purpose and makes it easy for students to share their language skills and cultural knowledge with diverse audiences, including family members and peers, administrators and staff, and junior school community. Looking back, my students can proudly say that they have left a mark in building a tradition of a strong school community. 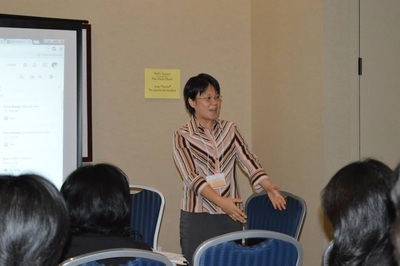 Langara First Mandarin School offers Mandarin courses for both adults and children. Our Mandarin as a second language program emphasizes practicality and features modern and interesting presentation styles, as well as simple, easy-to-learn materials. 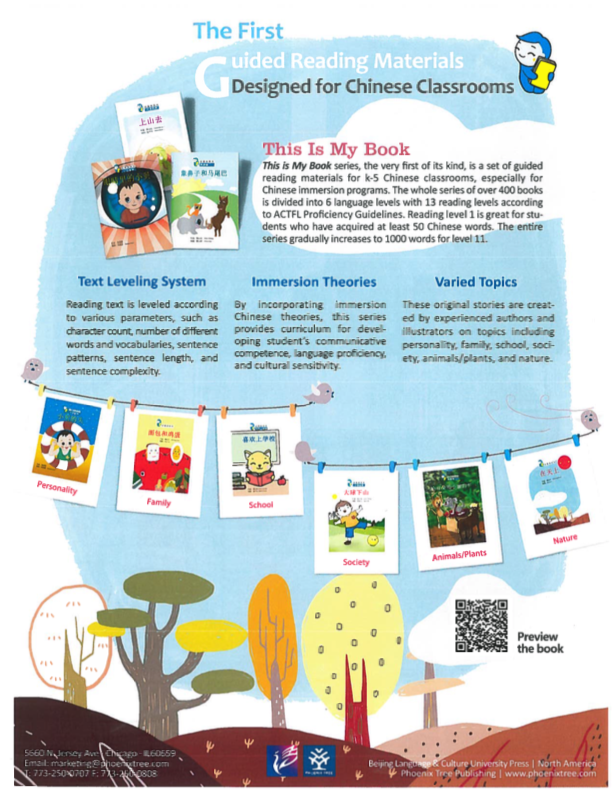 We teach both the Traditional and Simplified written forms of Chinese characters. Hanyu Pinyin phonetics is also taught to complement the learning experience. Adult Mandarin courses are offered four times a year, beginning in January, April, July, and September. Each term is 10 weeks in length, with the exception of the July term (8 weeks). The seven levels of adult Mandarin courses are designed to help students progress from the basic Hanyu Pinyin system to advanced conversational skills. There are also classes offered in Mandarin Grammar, Chinese Written Characters, and Mandarin for Cantonese Speakers. A 15% discount will be applied to registrations for those who have completed three courses or more with this program. Children Mandarin courses are 16 weeks in length, offered two times a year beginning in either January or September. 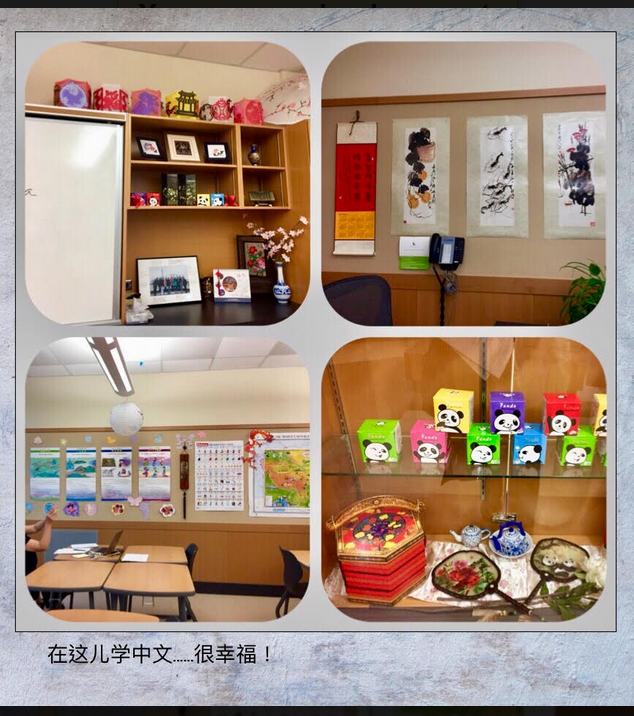 Levels range from kindergarten to grade 12, as well as an additional Advanced Mandarin class. Math and Fine Arts classes are also offered for children of the Mandarin school. Students four years and older will be assigned to the appropriate class during registration. A family discount of 10% will be applied to the third registration and subsequent registrations thereafter. Please contact Ruby Louie at 604.323.5624 or rlouie@langara.ca for details. You can also visit www.langarafirstmandarinschool.com for more information.